N : Now you are talking! 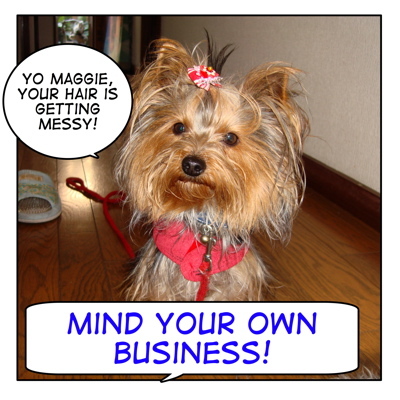 Cookie : "Yo Maggie, Your hair is getting messy!" : "Mind your own business!" "Mind your own business! " It is none of my business but I think you should apologize to her. "Do you mind if I sit here? " "Would you mind if I sat here? " "Do you mind if I borrow this chair?" 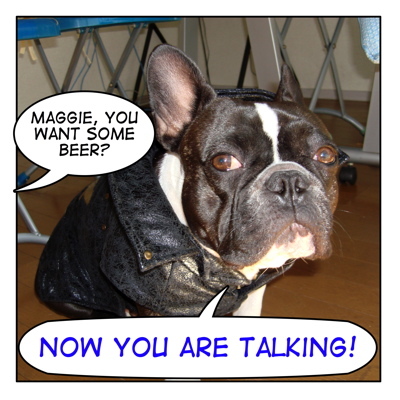 "Hey Maggie! Do you wanna wash the dishes or vacuum the room?" 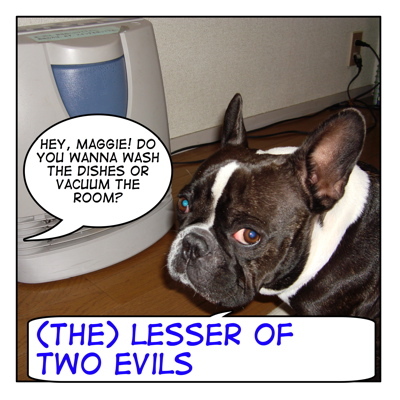 "(The) Lesser of two evils!" "It's lesser of two evils..."
to stay out or keep out of trouble and not to get involved in any wrong-doing. 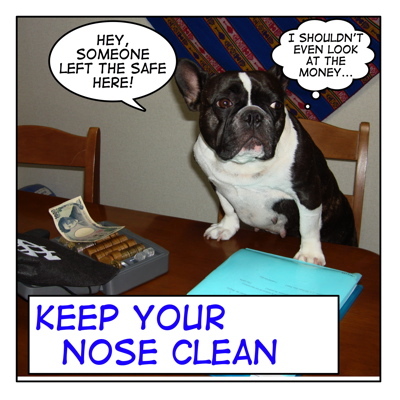 Keep your nose out (of my business/affairs. )!